81% of students are recruited by various corporates in the year 2015. Campus Recruitment is in progress. 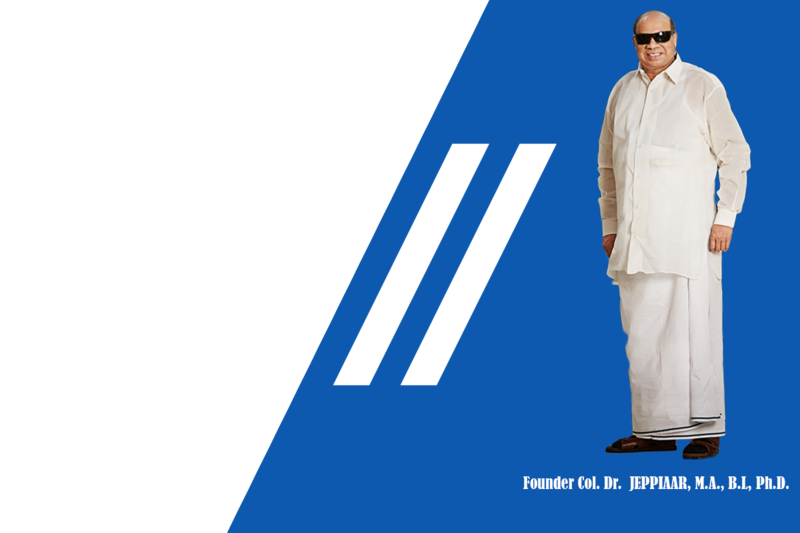 JEPPIAAR SRR Engineering college is headed by Dr. Regeena Jeppiaar, beloved daughter of Col. Dr. JEPPIAAR, M.A., B.L, Ph.D. who is a leading educationist, industrialist, and philanthropist. She has now dedicated herself to the cause of promoting Quality Education in the state of Tamilnadu. The aim of JEPPIAAR SRR Engineering College is to develop a disciplined model Engineering College with regimented student community who will turn out to be responsible citizens of tomorrow. The college within a short span of its establishment has made a name for itself as one of the leading Engineering colleges affiliated to Anna University. 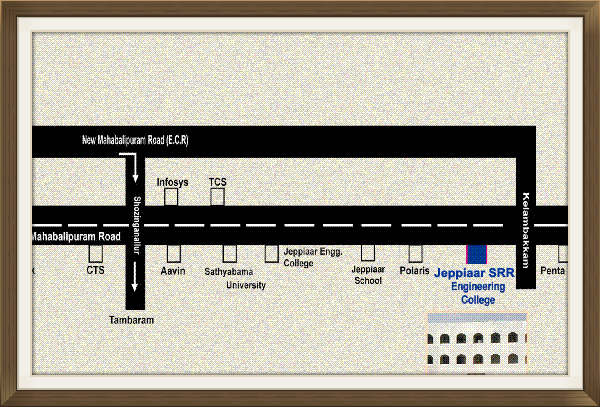 The JEPPIAAR SRR Engineering College was instituted in the year 2002. It is affiliated to Anna University and approved by AICTE, New Delhi. Speed Maths Quiz Competition conducted by Vista Minds on 26/09/2016. Seminar on Higher studies awarness program is conducted by Advisory bureau of Higher Studies on 14/09/2016. 312 students recieved appoinment order from our chairman Col.Dr.JEPPIAAR. AICTE has approved M.E Embedded System Technologies from the year 2014-2015. AICTE has increased the intake of Civil Engineering to 180 Seats from the year 2014-2015. Project internship is granted to our students by Computer Sciences Corporation, KAAR Technologies, Aricent Technologies, Genlight, and Shoppers Shop..
To make JEPPIAAR SRR Engineering College a well established world class Research and Development centre in the field of Science and Technology and to become a reputed Institution with academic excellence in the country. Magnifying the quality of education and maintaining the college as an effective technical Institution that can accommodate ever changing societal and industrial demands.Discharging duties and obligations to the students, staff, parents and the society effectively. The right to education is not only the right to access education but also the right to receive an education of good quality. Education must be available and accessible. To establish a centre of excellence in Technical Education. To bring out technocrats with superior skill and social commitment. To transform youth into good technologists. © 2016 JEPPIAAR SRR Engineering College. All rights reserved.